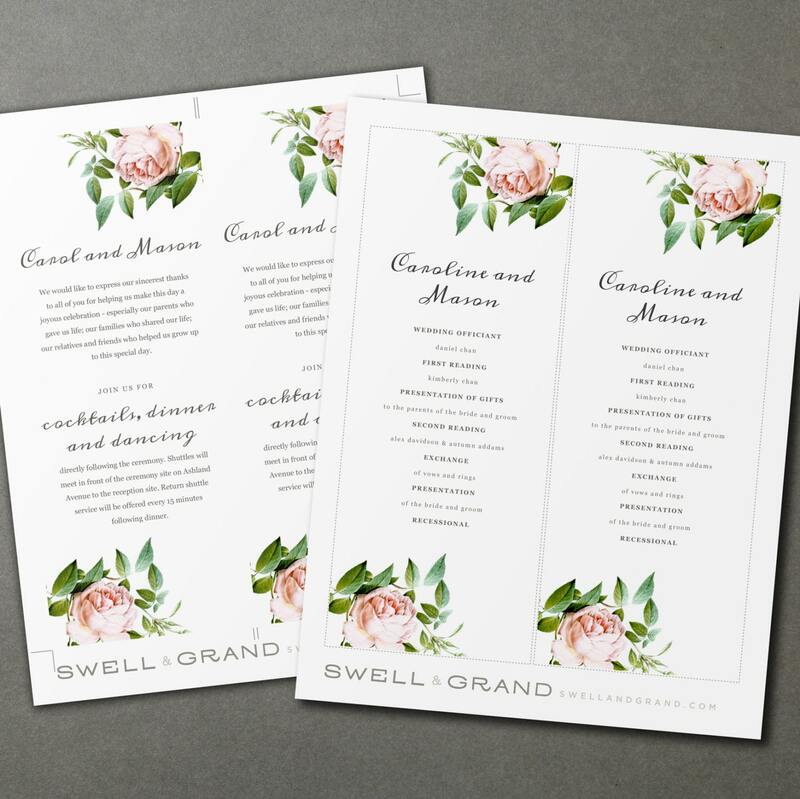 Use your home printer to create stunning printable wedding programs. 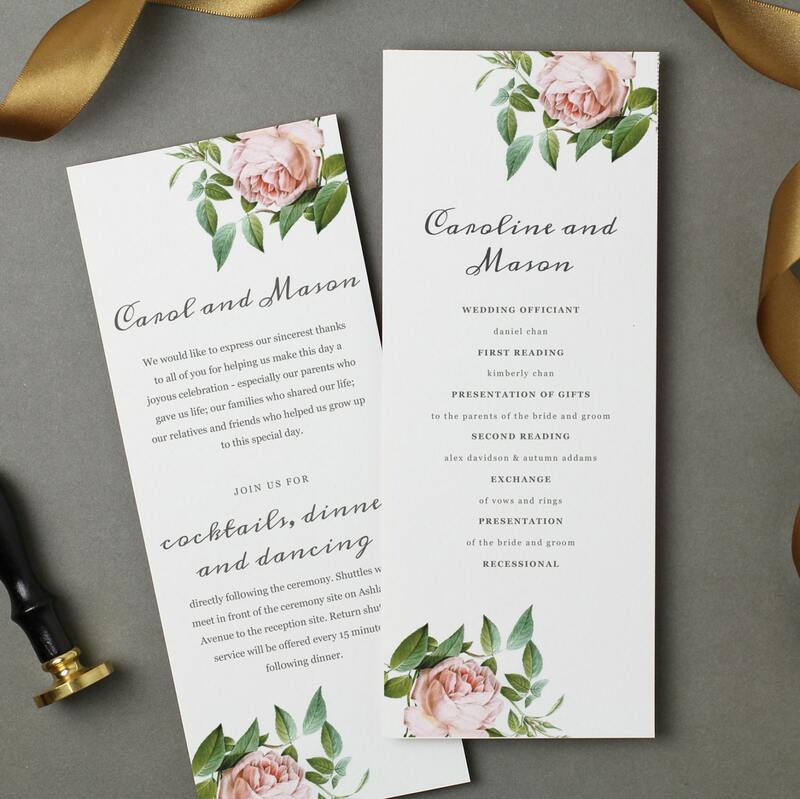 These DIY wedding program templates are a savvy and inexpensive alternative, no one will guess you made them yourself! The vintage artwork in this design is not editable in color. WHAT PAPER DO YOU LIKE? I love all the cover weight stocks at paper-source.com.